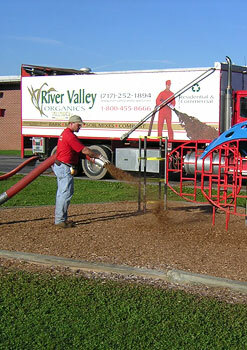 River Valley Organics is a dealer for Woodcarpet. 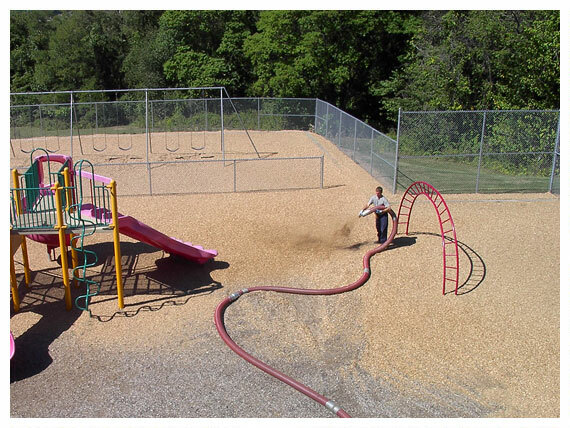 Our playground mulches are state certified and IPEMA certified to insure that your playground is as safe as possible. 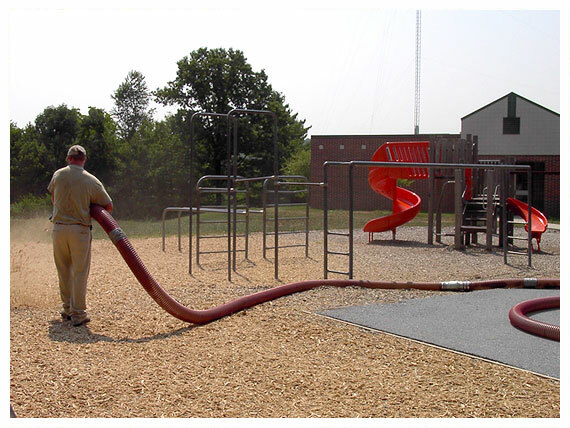 Our unique pneumatic application services take all the hassle and work out of maintaining your playgrounds. 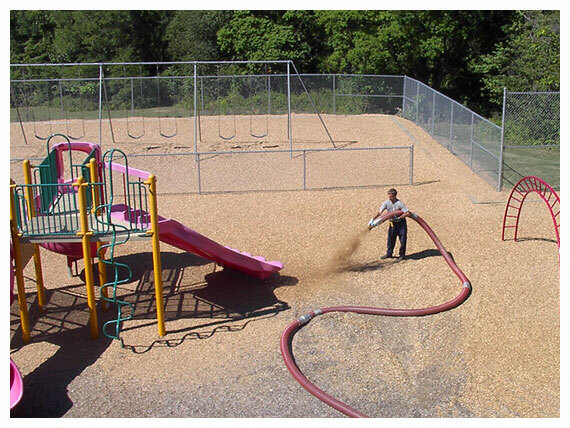 We deliver and install woodcarpet in small or large quantities with ease. 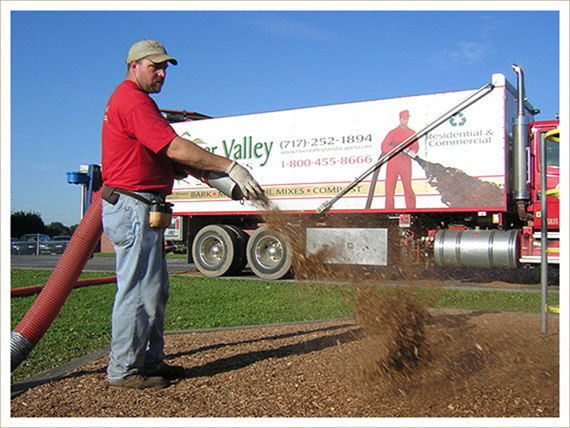 Please ask about our bulk delivery options as well if you prefer to place the material with your staff. 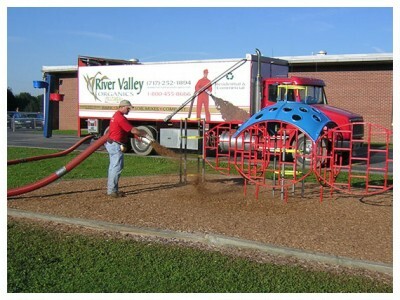 Our pricing is extremely competetive and you will likely find it is not only easier but cheaper to have the River Valley Organics crew install your playground mulch than it is to have your in house staff struggle with it. Please ask about joint purchase pricing. To find out how much material you may need, measure the total square foot of the area and divide by the number below to determine cubic yards of material needed.